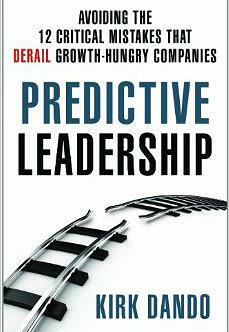 Leadership & growth expert, & author of Predictive Leadership. Nothing masks issues and robs an organization of its full potential like success. Things may look great now, but as a leader, you must predict problems long before they show up in the results. Are you and your team truly ready for growth? Or will rapid growth only speed up your demise? You get what you set yourself up for. Do you know what you are setting yourself up for? By the end of this talk, you will. You won’t find another leadership expert like Kirk. 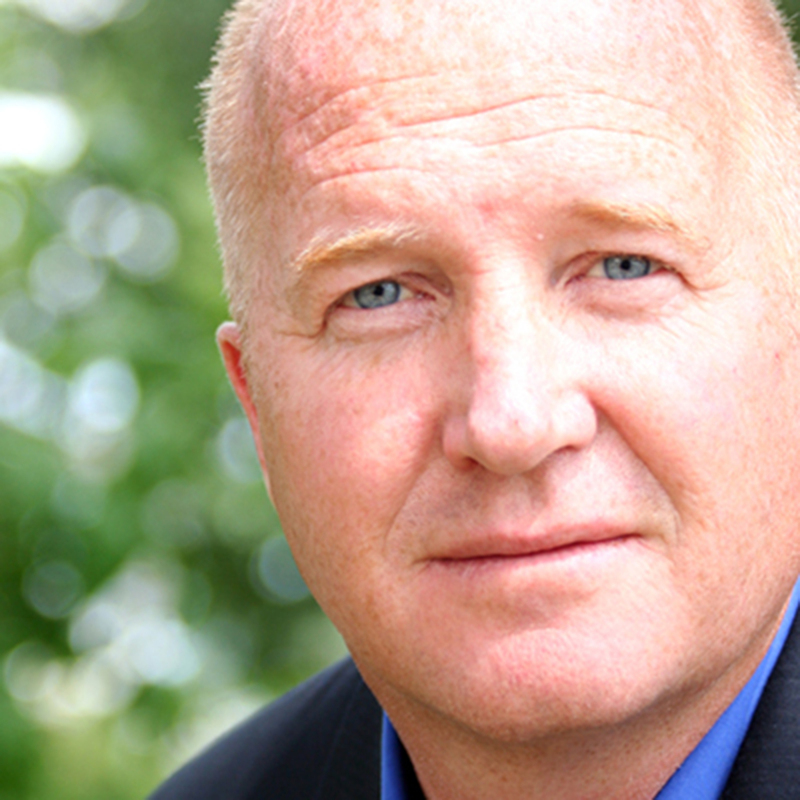 He combines the raw emotion felt by leaders with the real-world action needed to achieve and sustain success. Forget complicated theories and bogus acronyms; Kirk gets to the heart of the matter to help leaders create real change in the lives of their employees, shareholders and themselves. Kirk Dando unlocks the true predictive leader inside. LEARN the three steps you and your team must take to move from being a problem solver to problem predictor. There is a huge difference. LEARN how to get your leadership aligned with a renewed sense of vision and purpose to help you predict and prepare for growth. LEAVE with a Growth Readiness Assessment that exposes the 12 most critical mistakes common in high-growth companies. You will see if any of the 12 leading indicators of decay exist in your business. You’ll have the tools to take decisive action immediately. LOVE the sense of relief and confidence you get when you see how you can normalize your growth journey and scale your company and culture to the next level – without all the drama. There are “leaders” and then there are those who lead. True leaders don’t rely on a position or title; they have learned to inspire, motivate, and grow those around them. Like any muscles, leadership muscles must be built and exercised to be strong. So what do the best leaders do differently? What transforms a weak leader into a strong one? And how can you become the leader you want to be? Leadership expert Kirk Dando, known as “The Company Whisperer,” has worked with more than 5,000 growth-focused leaders. As a C-level executive, he walked the lonely road of leadership himself. He has uncovered the three overly obvious, embarrassingly simple patterns that all great leaders have in common – and how to make them work for you. LEARN to develop the three core leadership muscles that will help you build an organization capable of changing the world while creating a wealth far more satisfying than money alone. You will wonder why you did not see these components before. LEARN how to practically and easily apply the three core components of leadership in your everyday activities – including at home! LEAVE with practical tools you can use to build measure your leadership muscles and know if you are growing or atrophying. LOVE the sense of relief and confidence you get when you see how you can normalize your growth journey and scale your organization to the next level – without all the drama. Growth is a contest of survival. To move ahead, leaders must not just solve for today’s problems, but learn to predict and prepare for future obstacles. LEARN about the three stages of the Business Growth Cycle. You’ll understand the characteristics and problems each phase of growth. You’ll learn to predict and prepare for the critical elements in each inflection point to move to the next stage of growth. LEARN to align and empower your leadership team with a renewed sense of vision and purpose to help predict and prepare for growth. LEAVE knowing your exact place in the Business Growth Cycle, with tools that help you lead your organization to the next level. Business leaders find a “friend in the foxhole” with Kirk; he helped scale and sell a billion-dollar company. As a C-level executive, he walked the lonely road of leadership and worried himself to distraction, but learned a lot. For more than 20 years, he has worked with more than 5,000 executives – including eight Ernst & Young Entrepreneurs of the Year and several “Best CEO” winners – overcome common business pitfalls to unlock explosive growth. By showing execs how to predict and prepare for the most common business pitfalls, Kirk helps eradicate their fears and doubts that make it “lonely at the top.” He has a stunning track record of causing breakthrough growth for companies that face problems stemming from their own success. As seen on Fox Business and Bloomberg Television, audiences relate to his real-world stories and his high-energy, no-nonsense style as he demonstrates how leaders can predict problems before they show up in the results. You won’t find another leadership expert like Kirk. He combines the raw emotion felt by leaders with the real-world action needed to achieve and sustain success. Forget complicated theories and bogus acronyms; Kirk gets to the heart of the matter to help leaders create real change in the lives of their employees, shareholders and themselves. Kirk Dando unlocks the true leader inside.